Les Mills International Limited (jointly referred to as Les Mills) provides you with access to the mobile applications designed by Les Mills (the “App”). 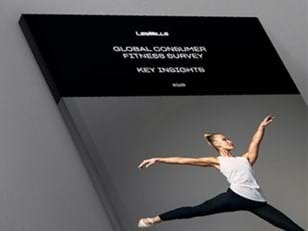 Les Mills is committed to ensuring the privacy and protection of personal information users enter into the App. Any other policy developed by Les Mills from time to time and notified on the App. We may collect (and/or receive from you) personal information about you (for example, including: your name, contact details, and other information about you) for the Purposes set out below in Section 2 (and as otherwise notified to you from time to time). Please note that if you choose not to supply the required personal information, you will not be able to utilize the functionality offered by the App. If you connect via Facebook, you allow the App to connect with your account on Facebook. We may, if you consent, access the photos on your device. As you navigate within the App, we also automatically track, collect and store information about you, your desktop or tablet, computer, PDA, mobile telephone, telephone or other voice internet portals. This information may include the IP address of your device when connected to the internet and the domain name from which you access the internet; the operating system and browser your device uses; any search engine you are using; the date and time you are visiting and the pages you visit, or other data that you permit the App to access on your device including through permissions on your device. When other users view your profile, they may be able to view your profile information, including your username. The App may collect, use, and share your location data in order to provide location-based services. Most browsers and devices provide tools to opt out from this feature by default. If you consent, your location data may be tracked by the App. for other purposes as legally required or lawfully permitted from time to time. We may share your personal information with our affiliated companies, our distributors and carefully selected third party service providers for the Purposes. Some of these recipients may not be based in your home jurisdiction and may not offer the same level of protection. We will take reasonable steps to ensure your personal information is secure. Personal information is retained for as long as necessary to fulfil the Purpose(s) for which it was collected and to comply with applicable laws. Your consent to such Purpose(s) remains valid after any termination of our relationship with you. Les Mills does not knowingly collect information from children under the age of 13 and does not target the App to children under 13. We encourage parents and guardians to take an active role in their children’s online activities and interests. We may provide you with chat features, instant messaging, message boards, community forums and/or news groups through the Online Community or otherwise. Please remember that any information that you disclose in the Online Community or other public areas of the App will become public information, and become accessible to all other members of the Online Community and the public. We do not intend (but reserve the right) to monitor, moderate or screen the contents of user postings. We bear no responsibility for any such content and you should be cautious when considering whether to disclose your personal information in the Online Community or any public or private forums. Providing a secure and safe environment for your personal information is our highest priority. Les Mills will make commercially reasonable efforts to ensure that personal information entered by you into the App is protected against loss and unauthorized access. This protection applies in relation to personal information stored in both electronic and hard copy form. Les Mills uses industry standard security techniques with respect to the App to help protect against the loss, misuse or modification of personal information that you have provided. While we implement the above security measures, you acknowledge that the App is an internet-based application and the internet is not a secure medium, therefore it may be subject to inadvertent or deliberate breaches of security. 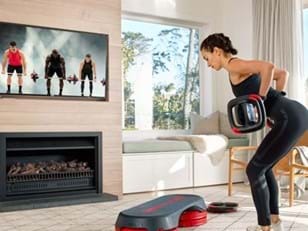 Les Mills is not responsible for any loss or damage caused by inadvertent or deliberate breaches of security outside Les Mills’ reasonable control. You must notify us promptly if your user name or password is lost, stolen or used without permission. Upon notice, we will cancel that user name or password and update our records accordingly. The personal information you provide us enables us to keep you posted on upcoming events or promotions which may be of interest to you. It also helps us to deliver and improve our products and services, improve our communications, advertising, and administer any contests or similar promotions you might enter into. If you don’t want to be on our mailing list, you can opt out any time through the settings on your device or on the App, or by contacting us at info@lesmills.com. Unless you have opted-out, the App may send push notifications to you. You have the right to access personal information held by us on you. You can request such access by writing to us at the address set out below. Once we have received your request we may charge you a nominal sum, where permitted to do so by law. We are also permitted to require proof of identity from any person making such a request. By registering as a user of the App and using the App, you acknowledge and provide your consent to the collection, retention, disclosure and any other processing of your personal information for the Purposes and in accordance with this App.